If your furry kitty is losing a large amount of fur, it is an alert alarm for you to take some serious action. Felines are natural groomers; they spend the majority of their wakeful time in grooming themselves. Therefore, it is heartbreaking to see pretty kitties going bald. There are various factors, which can cause major hair loss in cats such as diet or the surrounding environment. No matter, whatever is the reason for hair loss as a proud pet parent, it is important that you should immediately look for medication and give relief from the pain and discomfort to your cat. Let’s check out the most common reasons because of which your cat is losing hair! Allergy is a leading cause of alopecia/ hair loss in cats. Either environmental factors or food can be the reason for allergy, which causes patchy hair loss, inflamed or itchy skin. Finding out the reason can be challenging, therefore, immediately contact your vet and get the skin tests done. Moreover, try to remove some of the things from the kitty’s playing area to see if that has any effect or try to change her diet. Cats usually get food allergies. 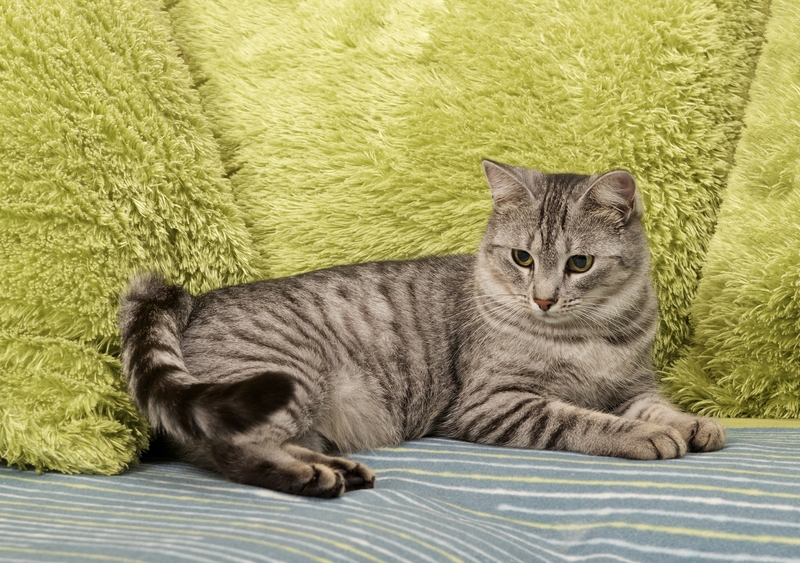 Ringworm, a fungal infection is another major cause of fungal infection in cats. Through infected animals the infection immediately spreads, in adult cats, it causes brittle hair and ultimately hair loss patches. Affected kittens get reddish skin patches on the ears, face and paw pads. Flea allergy can boost hair loss in cats. Fleas cause intense itchiness to felines due to that they scratch themselves to the extreme level. To get relief from itchiness they also bite off their hair in the affected areas. To avoid further complications and pain, the pet parent should immediately look out for vet care. The production of too little or too much thyroid hormone causes hyperthyroidism in cats. This causes hair loss. The disease makes their hair brittle, dull, thin, and as a result even while petting or brushing their hair pulls out easily. Consult a vet to get a treatment for thyroid. In some of the cases, due to excessive grooming cat experiences hair loss, it is known as psychogenic dermatitis. Felines are a natural groomer, but excessive grooming can harm their body. This is a result of boredom and stress. You can avoid this condition by making your kitty stress free; give some interesting toys, increase interaction, play often etc. These are some of the possible reasons for hair loss. Consulting with a veterinarian immediately would help your cat to get rid of irritation and pain. With a regular dosage of Furnil, your kitty will again have a soft, furry coat. It clears hairball from the digestive tract and minimizes the hair fall by strengthening hair.